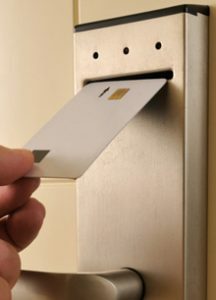 We can provide you with high tech access control systems that fit perfectly around your property. Whether you want a keypad entry for your garage at home, or a bespoke system of fingerprint readers on every door of your commercial grounds, Thistle Fire & Security Ltd have a solution for you. Our range includes keypad readers, fingerprint readers and microchip tags. They can also monitor timings and attendance from your staff in your workplace. At Thistle Fire & Security Ltd in Peterborough, we offer all aspects of building management solutions, from its original design, all the way to installing and maintaining the system for years to come. All of our security systems are scalable, which means that whatever the size or scope of your initial security system, we can add additional extras to the system for more security and benefits for you, without the cost of a brand new system. If you are in the Peterborough or Cambridgeshire areas and you’re interested, give our friendly team a call. 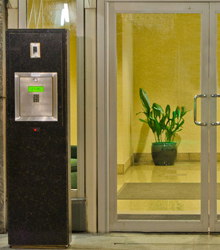 To find out more about our bespoke access control systems, contact us.